Omond House was the grand name given in honour of Scottish meteorologist Robert T Omond to the building erected in 1903 on Laurie Island in the South Orkney Islands. It was built to house shore-based members of the 1902-1904 Scottish National Antarctic Expedition. Omond was the founder of the Ben Nevis Observatory, where expedition leader William S Bruce had worked. To build the house and the three-metre (nine-foot) high, five-metre (16-foot) diameter cairn designed to hold an astronomical and survey benchmark, an estimated 100 tonnes of stone were manually quarried and transported from the nearest glacial moraine. 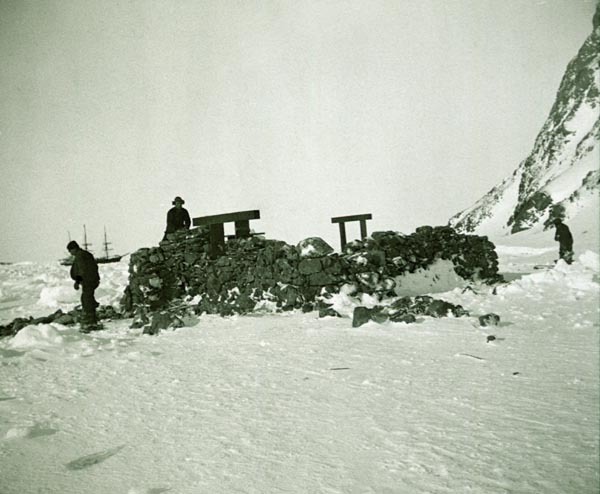 The stone was also used as ballast for the expedition ship SY Scotia, to compensate for material used up during the outward voyage and left behind on Laurie Island.